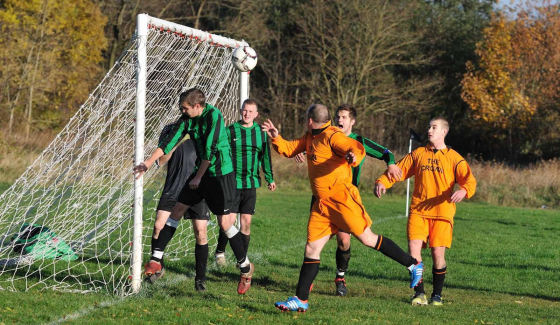 The FA wants your views on grassroots football for its latest survey on the national game. English football's governing body are trying to get their most detailed picture yet of the game at grassroots level and to do so they need to hear from you! Whether you're a player (youth or adult), coach, parent, referee, club or league official, spectator or the person who makes the tea, the FA wants to hear about your experience of grassroots football to help improve the game in the future. The online survey takes around 10 minutes to complete and, for taking part, you'll go into an exclusive draw for Club Website members to win a pair of tickets to see England take on France at Wembley Stadium on Tuesday 17 November 2015. The survey follows hot on the heels of the FA's latest national game strategy and the report of the FA Chairman's Commission, which outlined an ambitious £230m plan to develop football hubs in 30 cities nationwide by 2020. FA Chief Executive Martin Glenn said: "We are on the cusp of a real revolution within grassroots football and, as we move forward, it is vital we ensure that we are listening to those that it impacts upon directly. "Our new four year strategy has been designed to be adaptable to ensure that we are able to meet the key objectives we have set. This will be achieved through listening as well as acting. "The grassroots football audience consists of a cross section of diverse communities and this survey will help us ensure we service these groups efficiently via a range of methods, from inclusion initiatives to implementing technology. "And, as we build on the increases in boys and girls participation and growth in disability football, feedback from such a large sample group will help us refine our goals and targets." To have your say on the grassroots game and get your name in the exclusive Club Website prize draw for a pair of tickets to see England vs France at Wembley, please complete the survey here. Deadline for responses is 30 October 2015. Responses will also be entered into the FA's main draw to win four Club Wembley tickets to see England vs France. Terms and conditions apply. If you have already completed the FA's survey and wish to be entered into Club Website's exclusive prize draw for England tickets, please email your name and age to competitions@clubwebsite.co.uk and we'll ensure you are included in the draw.